Harry Snodgrass was once the most popular radio personality in the entire United States. His studio was not in New York or Los Angeles, but instead was in the dome of the Missouri Capitol. In the early days of radio, when receivers were primitive, often requiring headphones and ticklish tuning to bring in the few signals available, Harry M. Snodgrass was briefly THE star. WOS was Harry Snodgrass’ redemption. On December 1, Nelson became the first State Marketing Commissioner, a position that put him in a supervisory role over the radio station. It did not take long to realize the station could do more than broadcast market information to farmers. 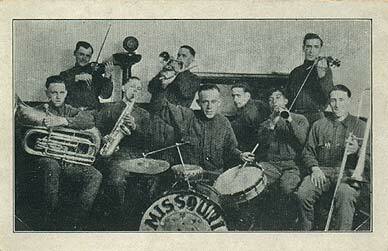 Soon professors from the University of Missouri College of Agriculture in Columbia were going to the Capitol to deliver “lectures on various subjects of agriculture.” And there was music by the quickly-famous Missouri State Prison Band. The market information arrived by leased telegraph wire from the United States Department of Agriculture. The markets broadcasts were aired in the first fifteen minutes of every hour from 8 a.m. until 2 p.m. In those early days, radios were so rare they were almost a community asset. Charlie Walden, writing for a state museum event decades later, noted the early sets “were often of the homemade variety and were located in banks, county offices, drugstores or other centers of community activity. The operators were instructed by the Bureau to record the market news on forms provided and then distribute the information by word-of-mouth and through the local press. But the availability of radio sets did not remain limited for long. Walden reports that by 1927, there were about 70,000 receivers on Missouri farms by 1927. Musical concerts were broadcast on Monday, Wednesday, and Friday nights from 8 p.m. until 9:30. Later, Sunday night religious services were broadcast. R. J. Engler, a radio engineer from Minneapolis was hired to be the engineer at WOS. Trenton, Missouri, merchant J. M. Witten became the station’s announcer. They were the only employees listed in the state manual in the early going. 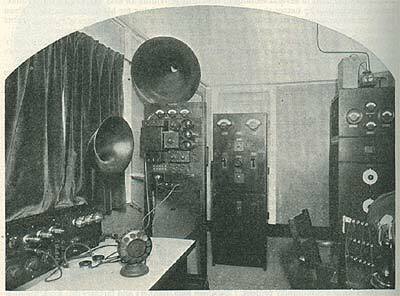 A picture of the studio in the 1923-24 Official State Manual showed the station’s 500-watt Western Electric radio transmitter. WOS broadcast on 441 meters. The station reported receiving responses from listeners from coast to coast, even from Honolulu, some 5,000 miles distant. Responses also came in from Cuba, Alaska, Mexico and Newfoundland. In 1923, Harry Snodgrass, then about 27 years old, tried to hold up a confectioner’s shop in St. Louis and was caught. He was sentenced on June 11th to a three-year term in the Missouri State Penitentiary for assault with intent to rob. His prison file shows he was three-eighths of an inch under five feet three inches tall; had brown hair and a sallow complexion. Snodgrass told prison officials he had a 7th-grade education. Harry’s piano-playing quickly elicited fan mail. Announcer J. M. Witten (a Jefferson City newspaper account referred to him as “Don” Witten”) referred to him as the “King of the Ivories.” Telegrams and letters weren’t enough for some listeners. Cookies, cigarettes, cash—even marriage offers–arrived in the mail for Snodgrass. Samuels notes Snodgrass accepted the money, cookies and cigarettes. But marriage was out of the question. Snodgrass had a wife, perhaps named Louise, and an eight-year-old son, who might have been named Harry Van Snodgrass, at home. Eventually, warden Sam Hill decided Snodgrass had been rehabilitated by his prison and broadcast experience, and decided to recommend a reduction of Snodgrass’ sentence. Snodgrass would wind up serving a little more than 18 months.